While the Grinch failed to steal Christmas, there are powerful cultural ideas today that could easily do the job. 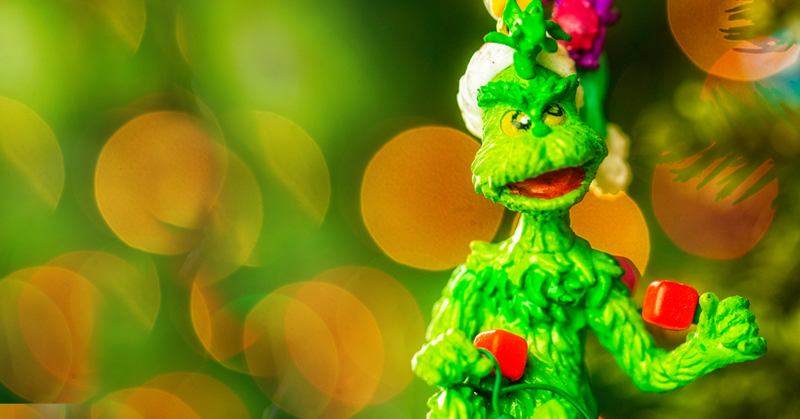 How the Grinch Stole Christmas has become a holiday classic. Dr. Seuss’ tale of the green meanie whose heart was “two sizes too small” has captivated young and old alike with its catchy rhymes and heartwarming message. Rather than stealing Christmas, it could be said that the true meaning of Christmas steals the Grinch’s bitterness and anti-yuletide rage. While the Grinch failed to steal Christmas, there are powerful cultural ideas today that could easily do the job. What could have happened if the abortion industry’s arguments about the value of unborn life were present at that Bethlehem stable during the very first Christmas? If Mary were having her child today, what would Planned Parenthood suggest she do? We all know the story. A young woman is engaged to be married when she finds out that she is pregnant. As soon as her pregnancy is discovered, people will likely think that she and her fiancée violated their vows of betrothal and slept together; or worse, she committed adultery. Her obvious prospects are scorn, ridicule, and potentially, the death penalty. Thankfully, an angel comes and delivers a message of hope and life to Mary. Her pregnancy is the result of God’s miraculous intervention and her unborn child is the Messiah her people have waited for. The angel then delivers the same message to her fiancée, Joseph, who takes Mary as his wife—unplanned pregnancy and all. And the rest is history. But what if it had not happened that way? What if modern pro-choice rhetoric were present at the time of Mary’s pregnancy? What advice would she have received? Mary’s bio seems to fit the typical “at risk” client Planned Parenthood serves. She was likely born into a poor family, she was young, unmarried, and her pregnancy was unplanned, from her perspective. To continue her pregnancy would be to invite ridicule and the accusation of adultery. As much shame as there is today for such an accusation, in Mary’s time it could mean life or death. One could imagine her trying to explain her circumstances to a concerned classmate or friend. It is difficult to imagine anyone responding to Mary’s claim of virginity with anything but skepticism. It is likely that Mary did not feel free to tell many people about Gabriel’s message. It was simply too much to get them to believe. Now, imagine her speaking with someone steeped in pro-choice logic about her unplanned pregnancy. According to Planned Parenthood and NARAL, the child’s future, talents, and skills matter nothing when determining abortion. It is impossible for anyone to know who a child may become, so why worry about it? Even more importantly, thinking about the child’s future requires thinking about the child. Abortion’s logic has no room for such an action. All that matters is the pregnancy, not the child. So instead of questions about the child’s future, all questions focus on the present. How does the pregnancy make the woman feel? Does the pregnancy threaten her hopes and plans? Was the pregnancy planned? Does the pregnancy make her life financially difficult? Unborn children are persons— pregnancies are events. Planned Parenthood and her allies know that deciding to terminate an event is far easier than terminating a child. Faced with abortion’s logic, no unplanned child survives. All unplanned children bring their mothers temporary discomfort, financial burdens, and changes to their plans. No future benefit brought by a child’s life is good enough to save them from death. Not even when the child is Jesus. Thankfully, Mary did not listen to the criticisms of her society and chose to raise her son. Social pressure was not enough to steal the first Christmas. However, for many young women facing unplanned pregnancy today, pro-choice logic does just that. It ensures that approximately one million children a year never get to celebrate Christmas. It is not enough to respond to such statistics with feelings of sadness. What these young women and their children need are the same things Mary needed during her unplanned pregnancy: compassion, hope, help, and the blessings of family. As pro-life people, let us embrace the women and men of our communities with the help they need to choose life for their unborn children and abundant life for their families. And in so doing, may we not forget that the hearts of abortion’s strongest supporters, like the Grinch, may grow a few sizes when confronted the with grace and love of the followers of Christmas. Mission: Acknowledging that every human life begins at conception and is worthy of protection, Care Net offers compassion, hope, and help to anyone considering abortion by presenting them with realistic alternatives and Christ-centered support through our life-affirming network of pregnancy centers, organizations, and individuals. Vision: Care Net envisions a culture where women and men faced with pregnancy decisions are transformed by the gospel of Jesus Christ and empowered to choose life for their unborn children and abundant life for their families.